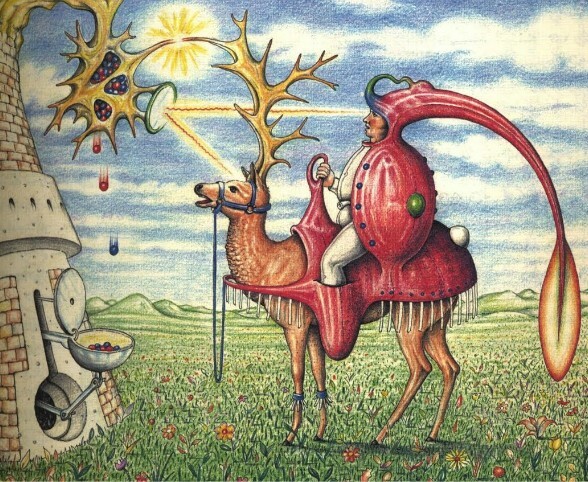 If you have any interest in strange books you have probably heard of the Codex seraphinianus — a gorgeous, bizarre book created by the artist Luigi Serafini. A new (but still very limited) edition was just published, so you might notice some recent articles on it around the web. It’s pretty easy to find a digital copy of this relatively rare book, but print copies run very high — I check Abebooks and Amazon occasionally and it is generally in the hundreds of dollars for a copy of the larger print runs and over a thousand dollars for the smaller runs. I may never own a physical copy but there is enough excerpted online to get a sense of the book, and my library owns a copy which I could look at if I take the time to go downtown. 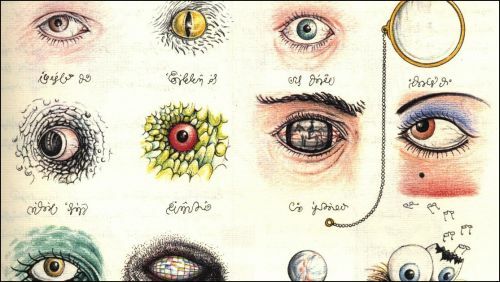 The book is a bit like enigmatic Voynich Manuscript, in that it is filled with indecipherable text and illustrations that suggest a surreal, alien world. 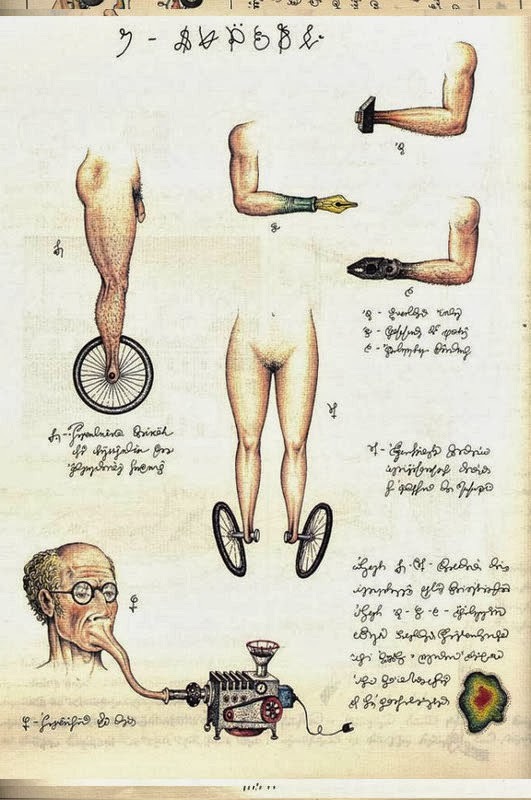 However whereas the Voynich ms. seems to be a treatise on something esoteric like alchemy or heretical doctrines, the Codex seraphinianus suggests an encyclopedia of some alien, dream-like (and often nightmarish) world. 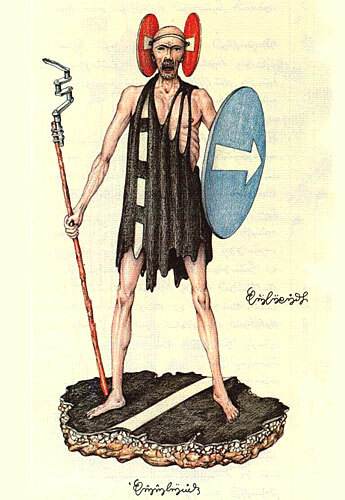 But anyway I was thinking about the Codex the other night and realized that would be a great reference work for a very nonstandard D&D campaign. 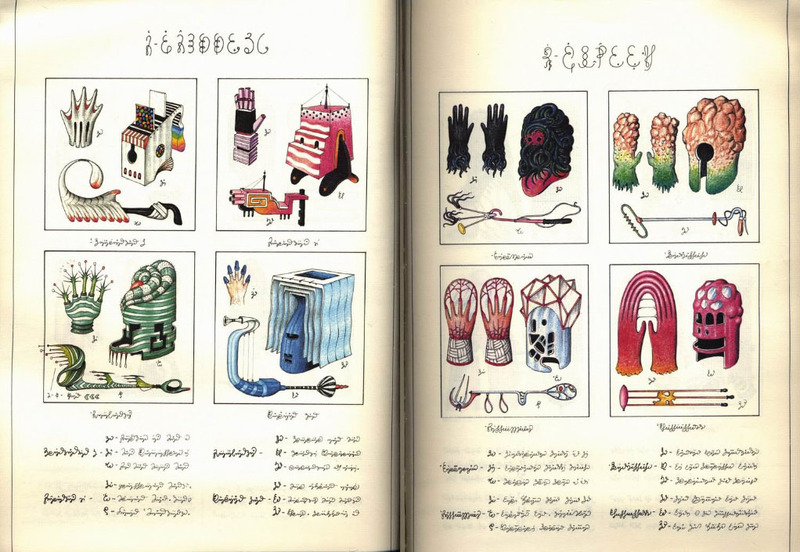 If I ever ran a Carcosa campign, the world of Codex seraphinianus would be the ancient world that preceded the current mess that is Carcosa now. The Codex would be a sort of Bible and Voyager recording for those who find it in the dinosaur and alien-haunted ruins. A Seraphinian Carcosa could drop the tired Cthulhu mythos references and swap it for ancient aliens and mad science. Fantastic planet, Svankmajer, Woodrofe, and Johfra would provide an alternative palette of strangeness. I’m not sure how to pull off any kind of extended campaign in such a confusing swirl of dreams and nightmares, though. I am lucky enough to have received this book as a gift. I see something new and disquieting every time I read it. It’s a perfect fit for what you propose. I always think of Telecanter’s posts when I see these pictures. His tumbling dungeon and pyramids and mysterious “angels” seem totally Seraphinian to me. i recall making photocopies intended for use in a campaign, but my gaming was decreasing as i began to focus (belatedly) on school. yes, it is possible to find a copy online, and now i’m gaming again. Acredito que nas imagens de homens e casa ele pretendeu retratar alguns povos do mundo.